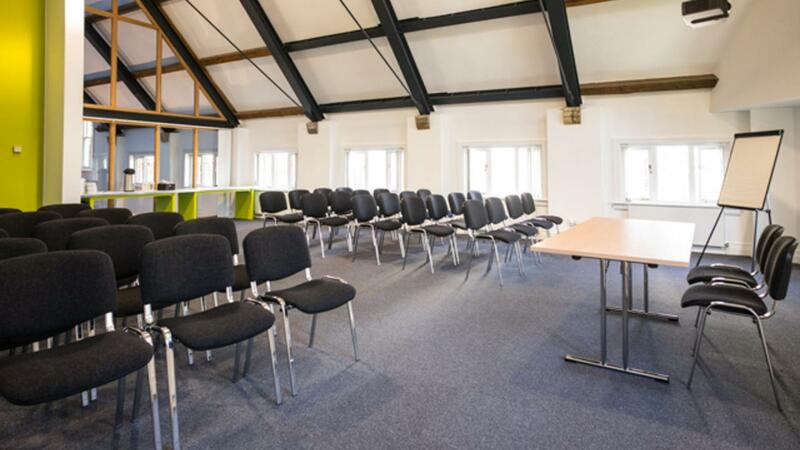 Conference Space Two is a spacious, architecturally designed room with high ceiling and natural light which makes it one of the best meeting space in the city centre. It is well equipped, with an interactive whiteboard, projector, flipcharts and Wi-Fi. 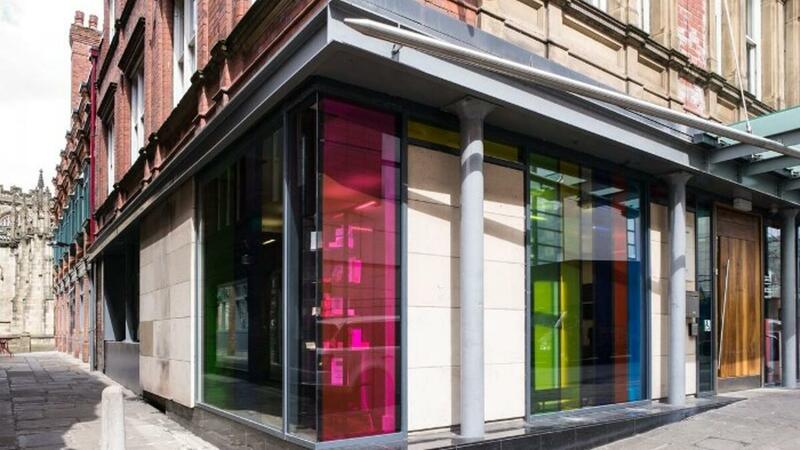 The building is fully accessible with a lift to all floors and disabled toilet facilities. Located just 4 minutes from Victoria Train/Metrolink station and with ample city centre parking nearby. 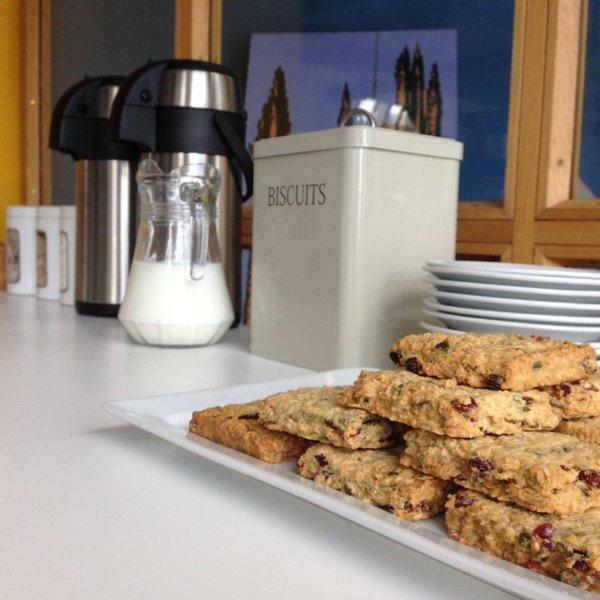 Meeting Rooms at MCVC have partnered with Harvey Nichols to provide delicious lunch options for delegates, offering some of the finest produce to include handcrafted sandwich boards and luxury deli platters. The building benefits from a lift and all rooms are wheelchair accessible. Just four minutes from Manchester Victoria Train and Metrolink Station and within easy reach of several car parks. 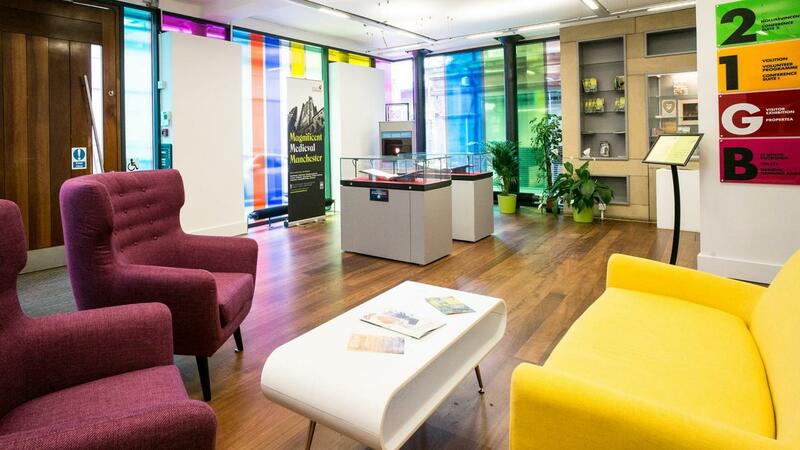 Located in the city centre right in the heart of Manchester’s medieval quarter, our stylish & flexible meeting rooms here at Manchester Cathedral Visitor Centre offer multi-purpose event space ideal for business meetings, small conferences and training seminars. 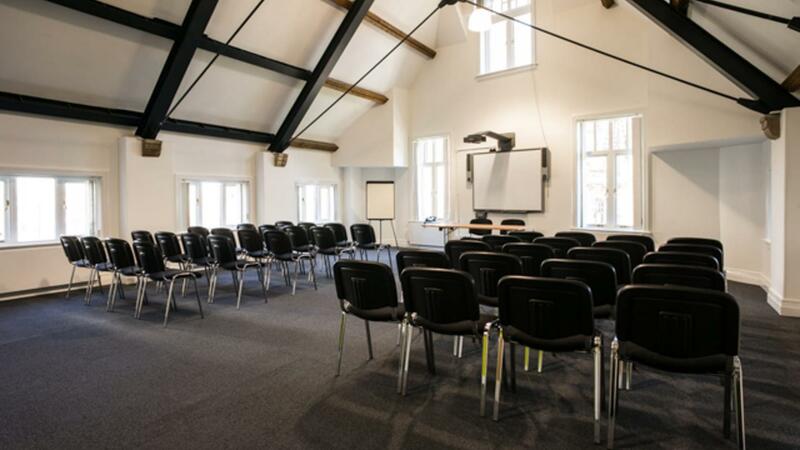 Displaying a contemporary, light and airy feel of the venue with stunning views of the iconic Cathedral and its gardens; Meeting Rooms at MCVC is the perfect setting for your next event. With day delegate packages from £25, fully equipped conference rooms and lunch provided by Harvey Nichols, we’re proud to work with organisations throughout the city to deliver them successful and memorable events.